BIRAKE is built by a software company that has been operating since 2010 in the web software industry. We are a real company, we have been more active in the media industry and especially in South America. We have portfolio and software solutions that have supported over 20 million users per day. Starting with 2010 we have developed / implemented a global content management system for different industries. So far, the main activity of our business was the financial and media industry. We are experienced trading in the forex industry and ending with the cryptographic industry for over 5 years. We have deployed automated trading systems, exchange platforms, and lately we’ve been focusing more on the encryption area. As traders and investors, we have overcome the situation of overloading trading platforms in the cryptographic area. Especially in 2017, there have been times when more than 50% of large cryptographic trading platforms have been overloaded / closed / inoperable for long periods of time. For this reason, we believe that the BIRAKE platform will come with a solution for the end user, but also for companies that target a business / exchange of information in this field. Also, the ​BIRAKE​ platform can be used successfully in new emerging communities and coins, eager to join a exchange platform. With BIRAKE, they will even be able to run their own trading platform. Our team is dedicated to this project, has over 10 years of experience in web development and manipulation of huge volume of data and users. For the past 7+ years, we’ve been working daily with technologies like Symfony3, Node.js, NoSQL data stores, AngularJS, ReactJS and others. We’re constantly growing and are always looking for new, talented and innovative members. Cryptocurrency is the future, people need tools to exchange and use these cryptos. We want to build the largest exchange network. Moreover, we want to allow ICO communities, cryptocoins communities and people from this industry to create their own trading platform with a few clicks. We strongly believe in the future of cryptocurrency and its main strength: the decentralization! We believe that allowing the market to be controlled by a single (or very few) privately owned exchange goes against this strength. This is why we believe that everyone should be able to create their own exchange with just a few clicks and that the orders should be openly shared across all exchanges in the market. The Cryptocurrency market today comprises a multi-billion-dollar industry. Though, it is yet to be accepted by the masses as a tool for everyday exchanges, comparable to your standard fiat currency such as the dollar or euro.While currently holding a market share of more or less than 1.2% in current exchange currencies, it is expected to see rapid growth during upcoming years. 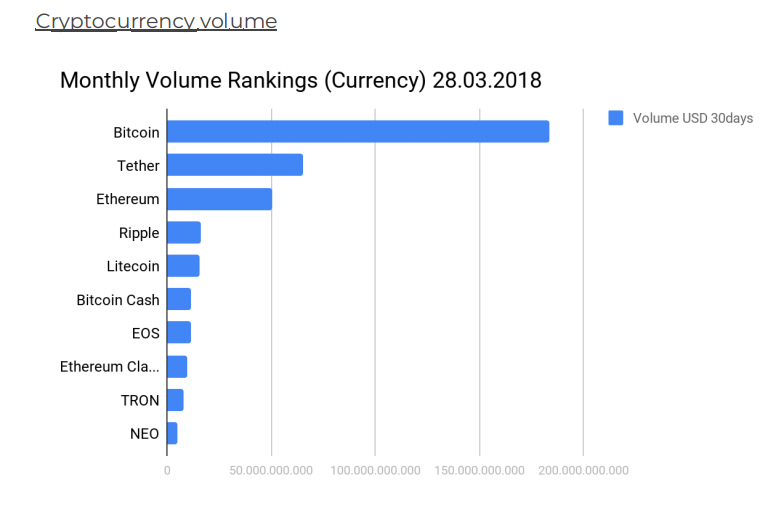 By our opinion the cryptocurrency market now is in the stage of “volatile growth”, which began in late 2016 and most likely will continue in medium perspective. Sharp price fluctuations and correction are the natural state for this stage of development. We believe that cryptocurrency market is not an accidental phenomenon and it is based on fundamental factors, which is confirmed by the eight-year history of development which began in 2009 when Bitcoin – the cryptocurrency which change the usual means of payment and digital transactions – has appeared. Over the last 8 years Bitcoin and other cryptocurrencies only by the fact of their existence and growing distribution refuted many negative forecasts, opinions and assessments. They debunked some of the myths about their insolvency, the lack of prospects and the impossibility of changing global financial relations. Over the mentioned period of time many alternative cryptocurrencies appeared. Many of them are embodying completely different ideas and fundamentally new concepts of economic ties. There is a gradual official legitimization of the legal status for cryptocurrencies and the integration of digital transaction elements into the traditional economic systems. In 2017 the total capitalization of all cryptocurrencies (according to coinmarketcap.com) increased by more than 4000% from $18 billion to over $800 billion. 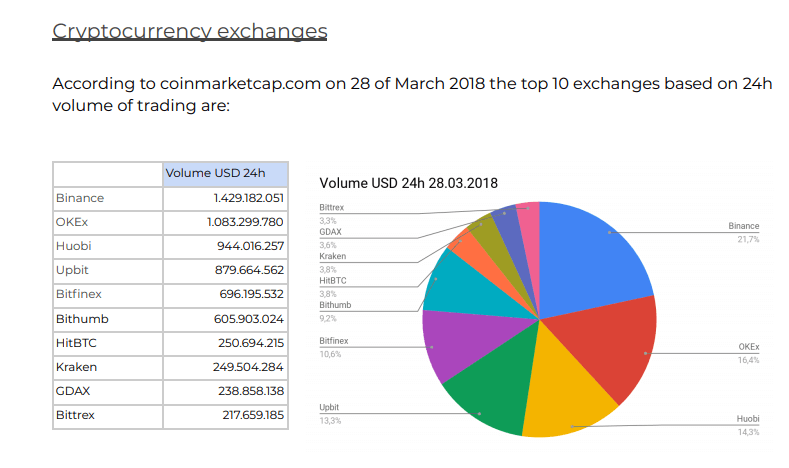 The daily trading volume for this period increased from $130 million to over $46 billion (almost 300 times!). Based on these and many other factors and assessments, it is possible to come to a very concrete conclusion – staying away from this market means to standing still without seeing the prospect and to lose the profit which is now is on its maximum level by the point of view of the market in the initial stage of growth. Cryptocurrency market is developing rapidly in many different directions, so it is very difficult to predict the profitability of a project in advance. However, we see the most profitable strategy in organizing and creating our own white label platform, which will unite different cryptocurrency exchanges and will become the biggest cryptocurrency exchange network with sharing orders between platforms. It is suitable for a variety of tasks and will be able to solve many tasks regardless of the specific user’s activities and needs. Start working at Birake ICO Site. Develop registration and login on ICO site. Building wallet system. Sale Birake Token start. 30% DISCOUNT for participants in first 50.000.000 Birake tokens! Main sale for the rest of 175.000.000 Birake tokens. Birake tokens distribution. After pre-sale and main sale period we will distribute the Birake tokens to your compatible ERC223 Ethereum wallet. distribution. Developing Birake Exchange software. Birake Exchange software will be the pilot for the White Label platform. At the beginning we will include 10 major currencies. Alpha Version release for Birake Exchange. Backend Alpha Version testing. Frontend Alpha Version private presentation. Beta Version release for Birake Exchange. Backend Beta Version testing. Frontend Beta Version public presentation. Developing Birake White Label platform for using as your persional exchange. Available packages using Birake tokens. Alpha Version release for Birake White Label Exchange. Backend Alpha Version testing. Frontend Alpha Version private presentation. Beta Version release for Birake White Label Exchange. Backend Beta Version testing. Frontend Beta Version public presentation. Final release of Birake White Label Exchange. Common active orders between platforms. Since the beginning the platform will be filled with thousands of orders and active users.